Taylors Bulbs Kestrel Seed Potatoes from the 'Have A Grow' range are a Second Early potato variety for harvest July to August. 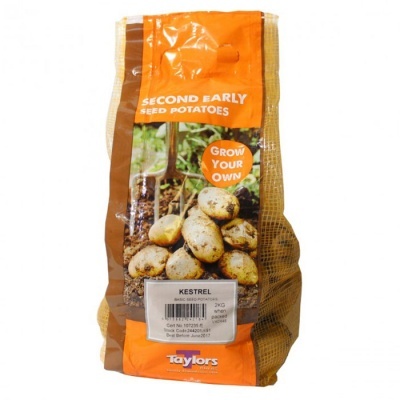 Great for exhibiting and almost slug proof, Kestrel is a good looking high yielding potato, excellent for chips and perfect for roast potatoes. Pretty violet eyes and found to be resistant to blackleg and double eelworm. Supplied in a 2kg Net.